This is the one occasion when all diverse tribes from the highlands of Wamena and the Baliem Valley such as the Dani, Lani, and the Yali congregate to celebrate their annual festival. As always, the main highlight of the festival will be the colossal mock tribal warfare which is a spectacular show of prowess and fighting skills among the tribes. Involving about 26 groups consisting of 30-50 warriors; the warfare is more a display of competence and showing off of costumes and decoration, rather than the intention to harm or kill. 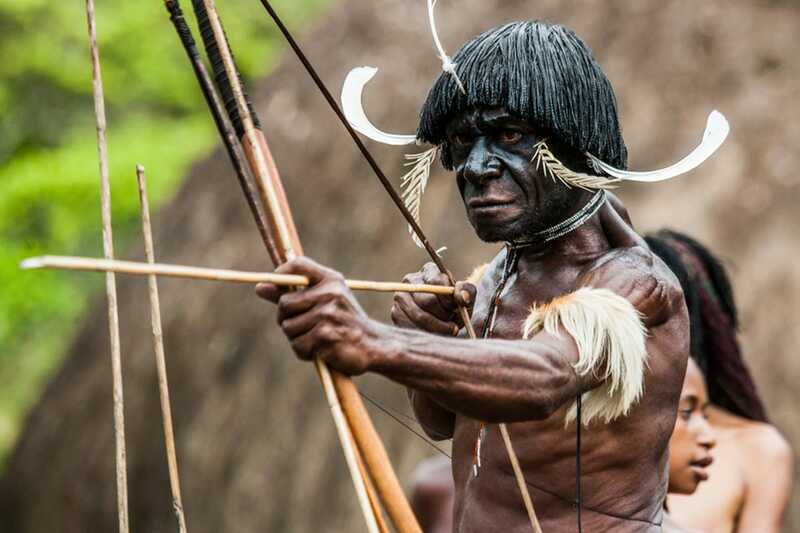 However it still brings a heart-stopping thrilling atmosphere since the mock warfare still features stunningly choreographed clashes among the groups who are fully armed carrying 4.5 meters long spears, bows and arrows..